Observation Baltimore conducted a survey of 1,000 Baltimore area residents to determine their thoughts and feelings on retirement planning. The survey was widespread in age, ranging from 18 to 70+, though the most represented (20%) age range was 41-50. As far as education, 55% have completed at least a four-year degree. Sixty-nine percent (69%) of respondents report an annual household income of $50K+. The future is bright for financial planning. Of the individuals surveyed, 26% felt optimistic about their financial futures. The second highest group felt concerned at 23% and 18% indicated feeling uncertain about their financial future. Despite a good number of people feeling optimistic about their financial future, when asked how confident they were in their savings toward retirement, the majority (55%) of respondents selected not too confident or not confident at all. Only 10% of the participants were either very confident or extremely confident in their retirement savings plans. When asked whether or not they felt as though they were meeting their retirement savings goals, 59% of the participants felt behind, while only 23% felt as though they were on target. Where do our participants look for retirement related income? We asked our participants to rank their top three most important expected sources of retirement income. Twenty-four percent (24%) of respondents ranked their employer sponsored plan as number one, matched by 24% selecting Social Security, while 19% ranked personal retirement funds as number one. When it comes to investing, 30% of participants are only comfortable with somewhat cautious, low risk investments, though somewhat aggressive, medium risk investments are acceptable to 28% of the participants. 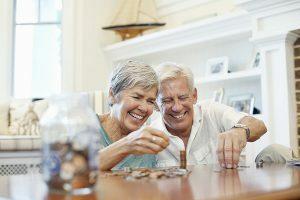 It seems as though many participants see a bright future for their finances, but they aren’t completely certain of their retirement plans or savings. At Observation Baltimore, we understand that the success of your research is directly tied to the quality of your participants. Our experienced recruiting is the foundation of our mission, as well as courteous and proactive hospitality and client services. Just six minutes from BWI airport and AMTRAK, our Baltimore research facility has a great location. Most importantly, we understand market research! This entry was posted on Wednesday, June 7th, 2017 at 1:34 pm. Both comments and pings are currently closed.